Let’s face it; almost no one grows up in perfect circumstances. Dad swears too much, Mom is too passive, grandpa drinks, your brother is always getting into trouble, the list goes on. We all grow up in different environments and conditions and therefor learn different ways of interacting with others in our day to day lives. How would we know the in’s and out’s of creating healthy personal boundaries? The relationships we had while growing up lay the foundation for our relationships as an adult and show up in our friendships, romantic lives and even professionally. They teach us how to interact, what is acceptable behaviour, how to respond and react in various situations. So what happens if what you learned doesn’t work for you, and your relationships with others end up making you feel bad, or making you a target in one way or another? It may be that you need to take a look at what your personal boundaries look like and if they need to change at all. Boundaries are guidelines between people about suitable behaviour and responsibilities. An important thing to keep in mind that while boundaries define who is responsible for what and act as a guideline between people, that not everyone in your circle of friends and family may have learned healthy behaviours themselves growing up, and therefor know what healthy personal boundaries should or shouldn’t be. Why is setting boundaries important? Evaluating and creating healthy personal boundaries is important so that you consciously know what is good for you and what isn’t. Many people never stop to consider what their current boundaries look like, never mind what healthy ones would look like. 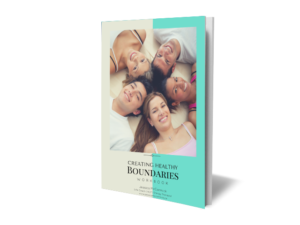 Taking the time to review and set health boundaries gives you a barometer to measure the behaviour of those around you and whether it is healthy and beneficial for you. A common misconception is that setting boundaries and asking for what you want somehow makes you selfish. This couldn’t be further from the truth. Having health boundaries is great. It means you know yourself and are able to take care of yourself and others. Of course this doesn’t mean you should be rude or mean about it. Creating healthy personal boundaries like anything in life should be done with kindness, respect and consideration. In any healthy relationship you should be treated with respect, listened to and be able to express yourself without fear of an adverse reaction. Having boundaries in any relationship is healthy because it means that you are able to communicate openly and share with the other person when something isn’t working for you and know that it won’t ruin the relationship. If being selfish means being treated properly then you are not being fair to yourself. Don’t expect everyone around you to change! So a big mistake you will want to avoid is expecting others around you to all of a sudden change once you’ve evaluated and established your own healthy boundaries. As William Shakespeare wrote, “Expectation is the root of all heartache.” How a person behaves is up to them, and our personal freedom always ends where another’s begins. Now if there is someone in your life who you’d like a different response or action from you are free to ask them of this, but don’t expect that just because you have revised your personal boundaries that they should somehow know that they should behave differently. That’s just not fair. You can communicate clearly what you need and give them the opportunity to respond differently over time. However, if over time their behaviour doesn’t work for you then you may have to consider how to proceed within the relationship. Interested in how evaluate the current boundaries in your life and how to set newer, healthier ones? I’ve got you covered. I have created an easy to follow worksheet that is free for you to use! Simply download it here and get ready to create a happier, healthier life! Get monthly news, updates and inspiration to help you create a life you love!